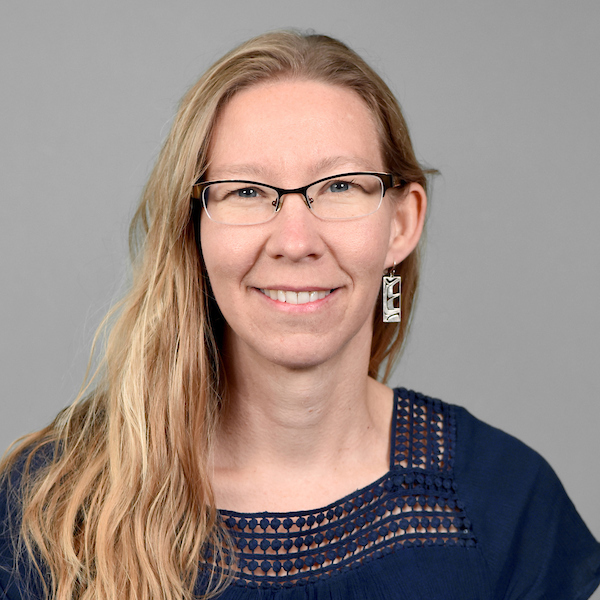 After completing her doctoral work at the University of British Columbia, Sonja Klinsky held post-doctoral fellowships with the Centre for Climate Change Mitigation at the University of Cambridge, and the Pacific Institute for Climate Solutions in Vancouver, Canada. Her work has continually centered around the justice dilemmas presented by climate change and climate change policy design. Professor Klinsky has been an observer to the UN framework Convention on Climate Change negotiations since 2009 which has been a foundation to her collaborative work with policy-science interface organizations. These collaborations have sought to generate theoretically sound and politically relevant proposals for constructively addressing debates about justice and fairness embedded in climate policy decision-making at all scales. In addition to this policy-oriented work she has also done research on public perceptions of climate justice dilemmas and policy options. Klinsky, S., R. Sieber and T. Meredith. 2010. Connecting local to global: Geographic information systems and ecological footprints as tools for sustainability. The Professional Geographer 62(1):84-102. Klinsky, S. and H. Dowlatabadi. 2009. Conceptualizations of justice in climate change policy. Climate Policy 9(1):88-108. Klinsky, S., R. Sieber and T. Meredith. 2009. Creating local ecological footprints in a North American context. Local Environment 14(6):495-513. Klinsky, S. 2007. Mapping emergence: Network analysis of climate change media. Integrated Assessment 7(1):1-24. Klinsky, S. and J. Brankovic. 2018. The Global Climate Regime and Transitional Justice. Routledge. ISBN: 9780415786027. Klinsky, S. 2012. Recognition and representation in cap and trade policy. Presentation at the 2012 Royal Geography Society Annual Meeting, University of Edinburgh, United Kingdom. Klinsky, S. 2009. Studying perceptions of justice and scale in climate policy. Presentation at the American Association of Geographers AGM, Las Vegas, NV. Klinsky, S. 2008. Justice and scale in climate change decision making policy. Presentation at the Center for Research on Environmental Decisions, Columbia University, New York, NY. Klinsky, S. 2007. Network analysis of Canadian climate change media coverage. Presentation at the Society for Risk Analysis, San Antonio, TX. Klinsky, S. 2011. Comparing public rationales for justice in mitigation and adaptation climate policy dilemma. Presentation at the Centre for Climate and Energy Diecision Making, Carnegie Mellon University, Pittsburgh. Klinsky, S. 2011. Grappling with the WCI from the inside out: An initial foray into a nascent carbon market. Presentation at the American Association of Geographers AGM, Seattle, WA. Klinsky, S. 2011. Political challenges of establishing new markets. Presentation at the UNFCCCC COP 17 Side Event, Post-2012 Market Mechanisms: Addressing Design and Governance Changes, Durban, South Africa. Klinsky, S. 2011. Vinaigrette or oil and vinegar? Comparing public rationales for justice trade-offs in mitigation and adaptation climate policy dilemmas. Presentation at the Resources for the Future Research Seminar, Washington, D.C.
Klinsky, S. 2011. When are the Americans coming? Prospects for the WCI and brief structural comparison with the EU-ETS. Presentation at the Electricity Research Policy Group, University of Cambridge, Cambridge, UK. Klinsky, S., B. Wilson and J. E. Brooks. 2011. What does "pro-environmental behaviour" actually mean? An approach to mapping energy-related behaviours along meaningful dimensions. Presentation at the Royal Geographical Society Annual Meeting, London, UK. Klinsky, S. 2010. Is fair play good enough? Justice and the Western Climate Initiative. Presentation at the Pacific Institute for Climate Solutions Research, Vancouver, British Columbia. Klinsky, S. 2010. Public perceptions of justice and scale in climate policy. Presentation at the American Association of Geographers AGM, Washington, D.C.
Klinsky, S. 2009. Considerations of fairness in BC climate policy. Presentation at the Pacific Institute for Climate Solutions and Sustainability Prosperity Network Decoding Carbon Pricing Conference, Vancouver, British Columbia. Klinsky, S. 2007. Mapping emergence: Network analysis of climate change media coverage. Presentation at the Ameican Association of Geographers AGM, San Francisco, CA. Klinsky, S. 2004. Evaluating the utility of ecological footprint visualization for community planning. Presentation at the Sustainable Communities Conference, Burlington, VT.